But no – it wasn’t in Ireland. TWO SCHOLARS BELIEVE they have found the world’s first ever written weather report – from 3,500 years ago. The inscription on a stone block from Egypt describes rain, darkness and “the sky being in storm without cessation, louder than the cries of the masses”. The words are translated from a 40-line engraving on the six-foot-tall calcite block called the Tempest Stela. Researchers at the University of Chicago believe the unusual weather patterns depicted on the slab were the result of a massive volcano explosion at Thera (the Mediterranean island we now know as Santorini). In a recently published paper in the Journal of Near Eastern Studies, the scholars explain that eruptions have widespread impact on weather – and that incident could have caused significant disruption as far away as Egypt. They go on to argue that the distinctive weather patterns described on the Stela would correspond with an eruption in the Mediterranean. The new translation could lead historians to adjust their understanding of the Bronze Age. Previously, historians thought the passage was more abstract, with the storm representing a recent invasion. The slab was initially though to date back to about 1550BC when pharaoh Ahmose ruled. But radiocarbon testing of an olive tree buried under volcanic residue placed the date of the Thera eruption at 1621-1605 BC. If Nadine Moeller and Robert Ritner are correct, then the Tempest Stela could be about 30 to 50 years older than first thought. Until now, the archeological evidence for the date of the Thera eruption seemed at odds with the radiocarbon dating. However, if the date of Ahmose’s reign is earlier than previously believed, the resulting shift in chronology might solve the whole problem. 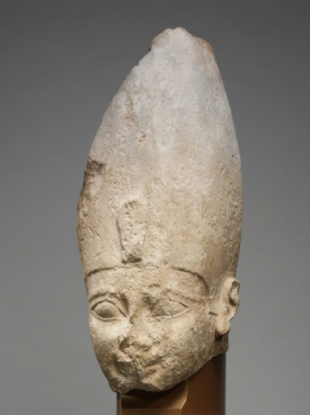 The revised dating of pharaoh Ahmose’s reign could mean the dates of other events in the ancient Near East fit together more logically. The stela’s text describes the “sky being in storm” with “a tempest of rain” for a period of days. The passages also depicts bodies floating down the Nile like “skiffs of papyrus”. “This was clearly a major storm, and different from the kinds of heavy rains that Egypt periodically receives,” Ritner said. Column: What does ‘I love you’ mean? Email “The world's first weather report described rain and loud, unstoppable storms”. Feedback on “The world's first weather report described rain and loud, unstoppable storms”.